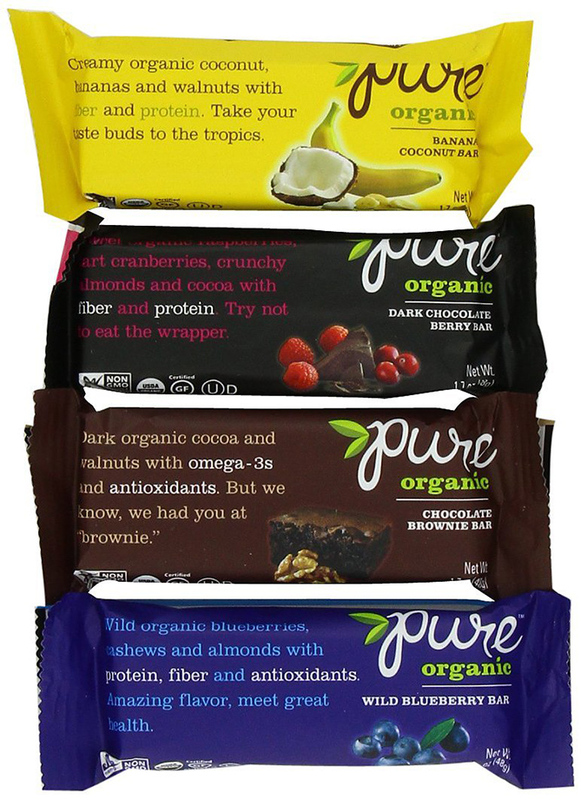 Pure Bar, now known as Pure Organic, was created by Veronica Bosgraaf when she and her 6 year old daughter decided to become vegetarians. Because in that time the variety of vegetarian edibles in the food stores was short, they decided to make one of their own. They were categorical on using strictly real ingredients such as healthy nuts and organic fruits, grown without the aid of any pesticides, herbicides, chemicals, refined sugar or GMOs. Of course, the mother and daughter team didn’t compromise with the taste, so all their products are both delicious and healthy, containing vitamins, minerals, omega fats, beneficial enzymes etc. In order to perfect their recipes, the two founders spent hundreds of hours in the kitchen experimenting, making dinner-table taste-tests. That’s how the Pure Organic Bars were created.